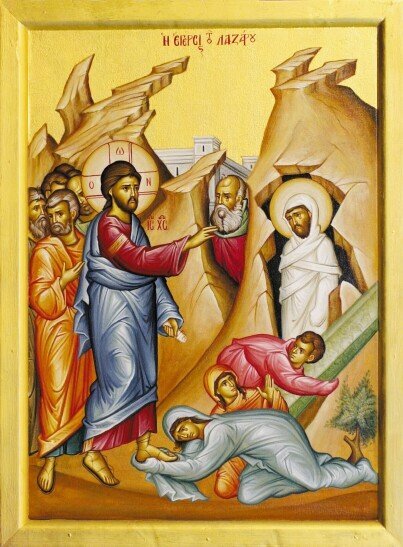 Yesterday’s gospel of the talents (Matthew 25:14 – 30) has much to teach us about both orthodoxy and orthopraxis. There is great profundity in this seemingly simple parable. A master entrusts to his three servants his property. To one he gave five talents, to another two and to another one. Then comes this most amazing proposition: God gives to each of his servants according to the ability of that servant. In all things God does not seek to give us tasks are beyond us. All are called to serve but each is called to serve in accordance with their particular abilities. But serve we must. What we cannot do is ignore our obligatory response to the gifts loaned to us by God. Whatever talents or abilities we may have they are on loan to us and we are their stewards. This is the first and greatest lesson of this parable. How many of us however are taken aback by that fact. However once you have an understanding of that your attitude to your fellow man and their plight MUST profoundly change. God gives us His teaching: take what you have; multiply at and return it back to God. That is orthodoxy. But what can we return back to God who was given us everything in the first place? The answer is what pleases God most is when we return out of our plenitude back to our fellow human being in humility and gratitude. That is orthopraxis. Thus God can say “well done, good and faithful servant; you have been faithful over a little, I will set you over much; enter into the joy of your Master”. Remember we are given abilities in accordance with our capacity. To those who are richly endowed then commensurately MORE will be expected..
Be aware that those who choose to keep the fruit of their labour for themselves no matter what their talents may be then they are no better than the slothful and wicked servant. Well may they have all the money in the world but if they keep that for themselves it is as if they buried their talent in the ground. Orthopraxis demands that we revisit what is important in our lives. Orthopraxis demands that we not only love our neighbour in words but also love them in action. The take-up on the flower roster (despite my plea) is still not been taken up. There are still a large number of spaces available. We are not guests in our Father’s house. If we do not look after our house then who will? Please find attached information regarding the 2019 Centre for Greek language examinations. For further particulars please contact Mrs Angela Evangelinou-Yiannakis director of the CGL at St Andrews Grammar (61002).